Poly cover with bungee closure includes double-sided clear pocket. 168 lined and perforated planning pages. Special pages include: monthly overview, three-year reference calendar, index sheet, future planning and contact pages. Poly cover with bungee closure includes double-sided clear pocket. 168 lined and perforated planning pages. Hot-Spot reminder section on each page. 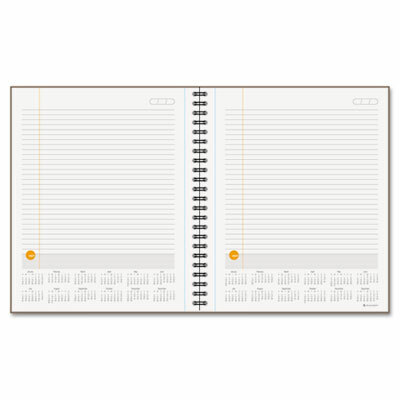 Special pages include: monthly overview, three-year reference calendar, index sheet, future planning and contact pages.